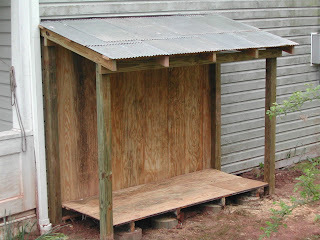 Jon, my wonderful contractor, built me a new woodshed. 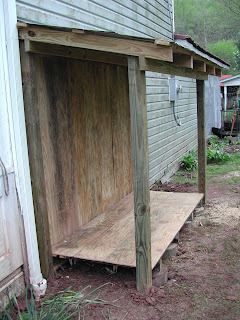 As with most of Jon's projects, the woodshed, instead of being a slapped-together protector of cut firewood, is easily livable. In fact, there was much discussion at the end of the project as to whether it would be wasted by stacking wood and instead should be used to set up a bar. Tough call! Either way, it came out very nice, due in no small part to our general contractor, Kitty Carlisle, who spent the day carefully avoiding any rain. Jon had plenty of help. 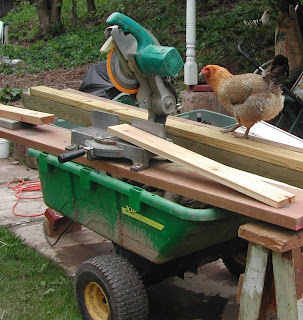 Do you have any idea how difficult it is to get a chicken to make miter cuts? Actually, the cuts are easy but is just so hard to get them do the math properly! They have a devil of a time with fractions. 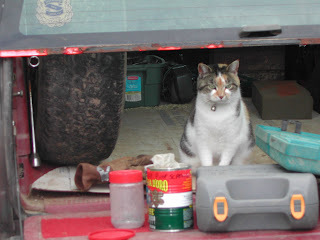 This winter, I may freeze, but my wood will be safely ensconced in the wood shed.